“On my way,” said the text message from Bryce at 7:10 on a Saturday morning. Fortunately, my dogs woke me up at 5:30, so I’d already had time to pack. Five minutes later, Bryce pulled up in the driveway. The dark blue slab sides of his 4Runner shone brilliantly and reflected the surroundings with great clarity, like a mirror. The truck would not come home looking like this. 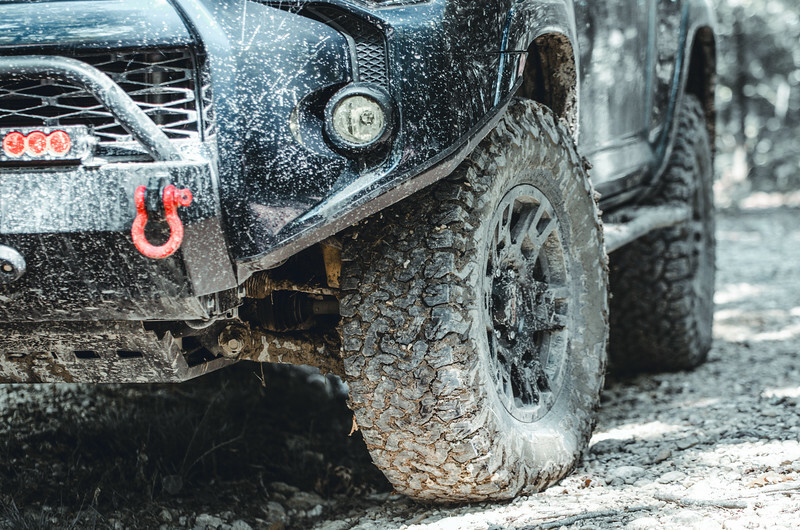 I threw my gear in the back and hopped in the passenger seat – well, climbed up the powder-coated reinforced slides which covered the rocker panels and grabbed ahold of the bar on the A-pillar to hoist myself into the truck. We were headed to the Land Between the Lakes to drive some of the trails around the park. But first, we stopped for coffee and donuts. The drive took us two and a half hours. 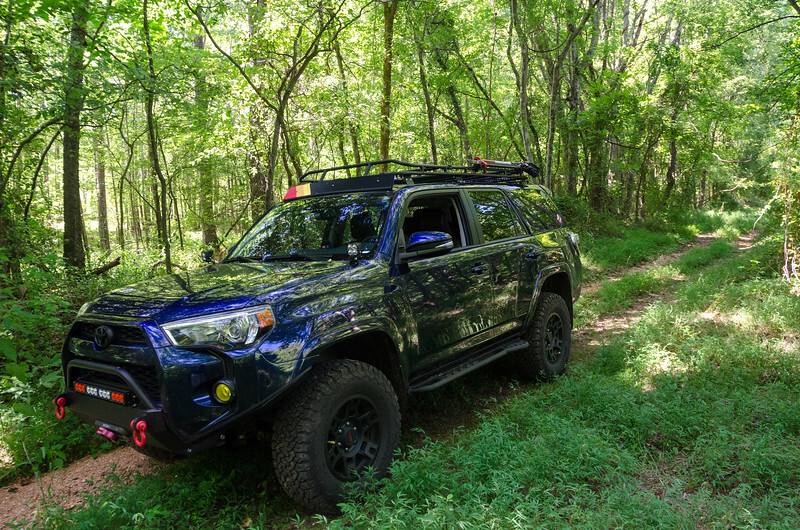 For an off-road oriented vehicle, with a lifted suspension, upgraded spring and shocks, and all-terrain tires, the 4Runner rode quietly and smoothly along the highway. Bryce and I carried on conversation that wasn’t drowned out by either wind noise or road/tire drone. I was very surprised that it would be that comfortable. After all, this is not the purpose of this truck. We entered the park from the South, off of the Woodlands Trace Scenic Byway. A road that, in its own right, was begging me to drive my sports car up here for a weekend jaunt. But, again, that was not the purpose of this trip. The South Welcome Station gave us an opportunity to pull over and study the trail maps to see where we wanted to start. It was just us out there, so we didn’t have another vehicle to help us if we got stuck. Though since this is Bryce’s only vehicle (and he had to drive to work the following week), and the fact his son was with us, I was confident he wouldn’t try anything too crazy. Directly off of the Welcome Station was a trail, the entrance to which looked decent, so we started there. The ground was, fortunately, dry and hard. 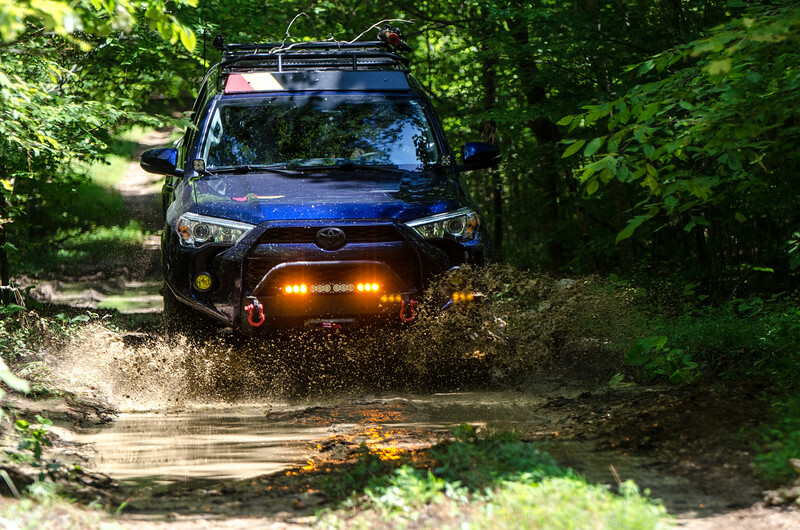 We didn’t encounter any mud that might hold us fast. Though Bryce hoped we would eventually encounter some puddles so he could splash some dirt and muck about. He didn’t need to worry. 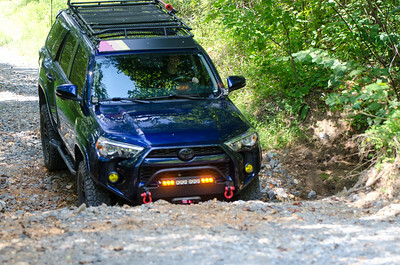 We crossed a small stream, with steep banks on either side that the 4Runner rode up and down with ease. However, we noticed not too far after that, our location on the map began to deviate from the proscribed trail. Instead of running alongside a stream, the track led us through a pasture with tall grasses and up and down a hill. According to the map, we rejoined the trail just a bit later on, but suddenly found ourselves faced with washouts on one side and a steep sunken-road embankment on the other. There was a bit of a moment when our angle reached just a touch passed where Bryce felt comfortable without a proper spotter or other support along the way. We should have been able to make a loop out of this trail and rejoin the main road a bit North of where we entered. But Bryce did not want to see his 4Runner on its side, so after some investigation on foot we decided to turn around and head back. 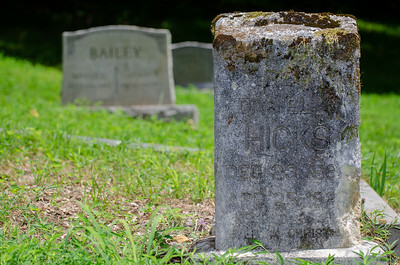 Along many of the trails, some of which were certainly impossible to traverse in any normal passenger vehicle, there are many small family cemetery plots. 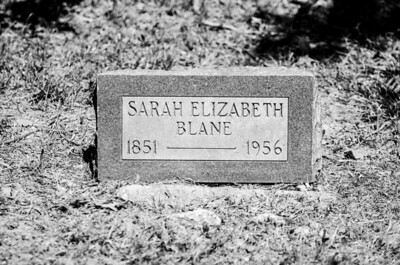 All of them are labeled, most are tended, some better than others, but contain graves ranging from the 1860s up to modern times (at least the ones we found – certainly others are older). These are apparently what remain from communities that used to thrive in the region before the Tennessee and Cumberland rivers were dammed to form the Land Between the Lands National Recreational Area. The TVA stopped up the Tennessee River in the 1930s and 1940s to build a hydroelectric dam. Lake Barkley was completed in 1966 to aid in flood control. In the middle is a gigantic recreational area for almost all outdoor activities. Included is a bison and elk range. 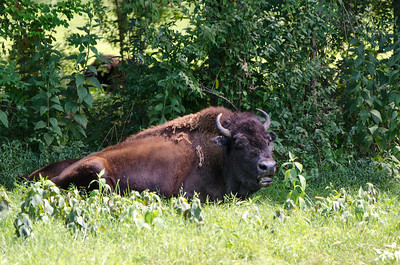 And while we did not get to see any elk, the bison were out lounging by the side of the road. 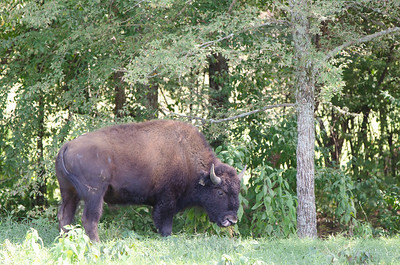 After touring through the bison and elk pasture, we hit one last trail for the day, on the Kentucky side of the park. It was probably our best offroading of the entire day. The trail started out easily enough, but turned into some quick S-bends with shear drops on either side and then became somewhat uneven with washouts coursing through the middle. 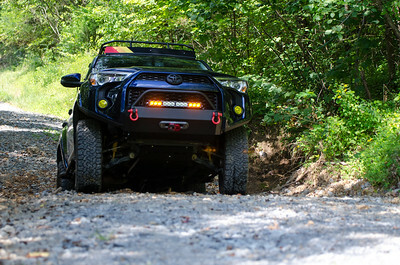 This provided us with some challenges and the 4Runner rocked back and forth. It was, in technical terms, Great Fun. We reached the end of the trail, paused for a moment for some last pictures, and then turned and headed out of the park and toward home. All told, it was a good way to spend 11 and a half hours of a Saturday. Bryce dropped me back at home around 8 that night, as rain started to fall in Memphis. I was happy, slightly muddy, and thrilled with the experience. 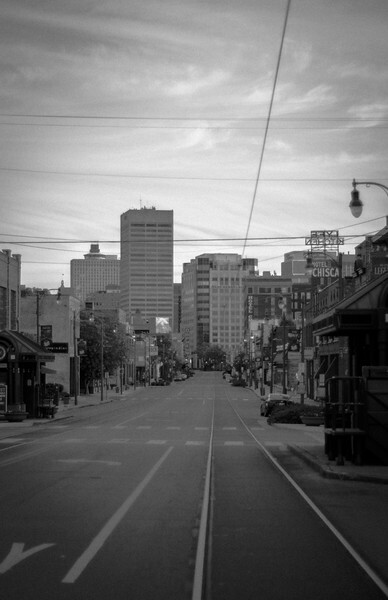 Perhaps we can get a chance to go back there and explore more of the history of the area. There are many trails we did not ride. So many things that we’ve since learned would be fun to go back and see. We’ll need another weekend. As of this writing, the car mentioned in the article was successfully sold on bringatrailer.com. These pictures and this article were initiated before the sale. 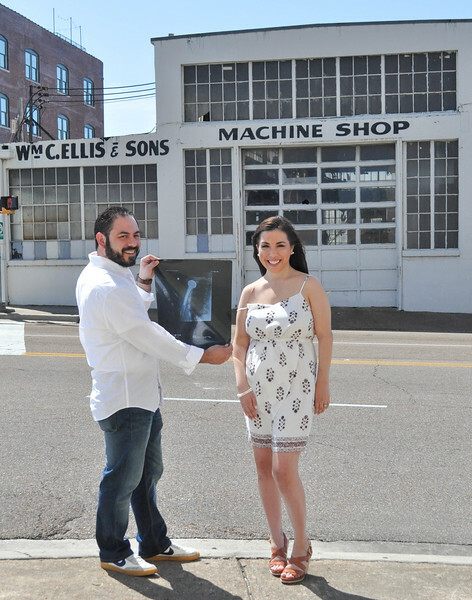 Moe Elqudsi is a GIS software developer with an interesting hobby: he builds cars. Well, so far just one car, but he’s on his way to another project and a second home-built machine. 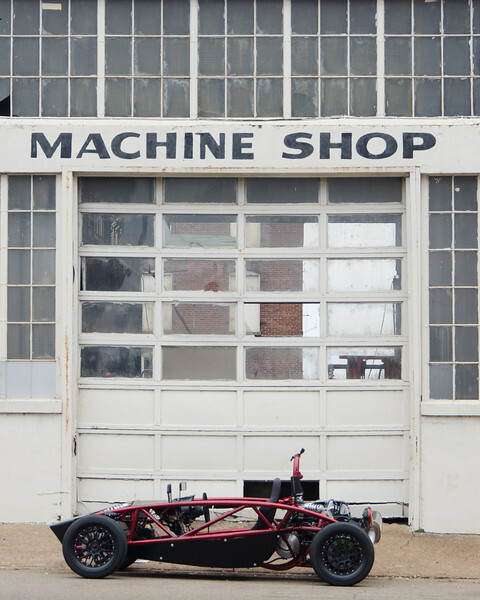 It’s a fascinating thing to be able to fabricate a vehicle from almost thin air: Once there was an empty space in the garage and now there is a fully licensed and titled vehicle that you can drive to work! I met Moe when we worked together. I saw the car for the first time in its bare metal as Moe test drove it around before disassembling it to powder coat the frame. 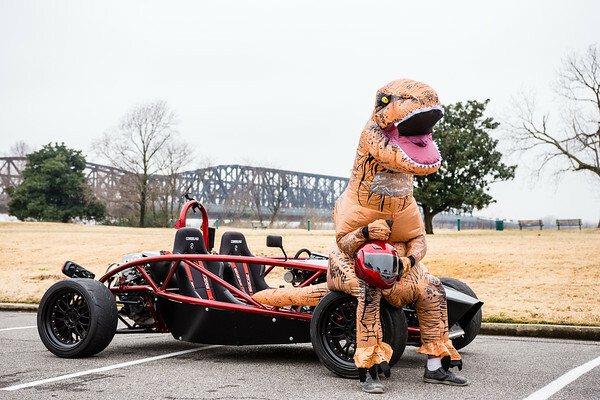 Just before he sold it, I convinced him (and my photography business partner) to do a photoshoot of the car in various places around downtown Memphis. The gallery and images are from the shoot. 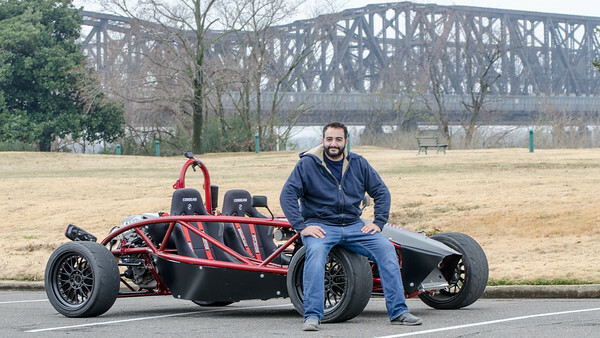 Mark Pomerantz: What kinds of cars did you own before building this? Moe Elqudsi: My first car was a 1986 Honda Accord Sedan 5-speed manual with a whopping 98 horses to the crank! My college days car was a 1990 300zx 5-speed manual, naturally aspirated with T-tops (woo!). It was really slow so naturally (pun?) I swapped the engine out for the twin turbo version, that was a lot better, my first time owning an actual fast car, it was a lot of fun for a daily driver. My current daily driver is a bone stock 350Z 6-speed manual. MP: What made you want to build this? ME: The 300zx was heavy and everything was crammed. 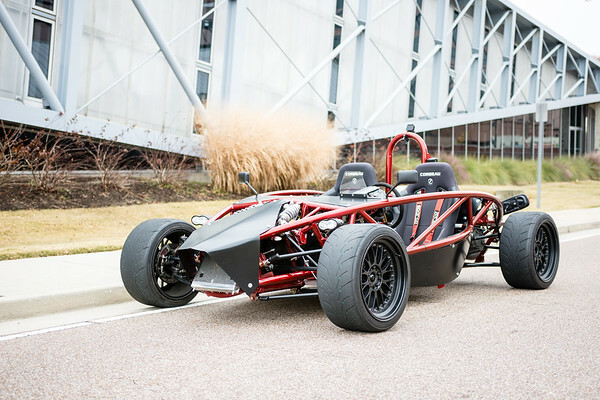 I fell in love with the Ariel Atom because of how simple it is. It also came with a Honda motor, I still had a soft side for Hondas. Once I realized that I can build one myself, I had to do it. MP: Do you have a background in engineering or metal working? What about the Atom made you realize you could build one? MP: How and where did you get started? ME: It all started when I discovered http://locostusa.com/forums/. It was the biggest internet rabbit hole I've ever been in, and I've been in a few big ones. I had zero knowledge about welding or suspension geometry. My teachers were YouTube and Google. MP: So you didn't want to build a homemade death trap. 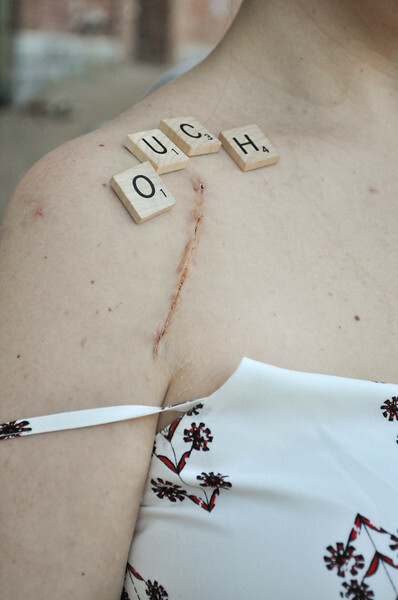 What did you have to go through to avoid this? 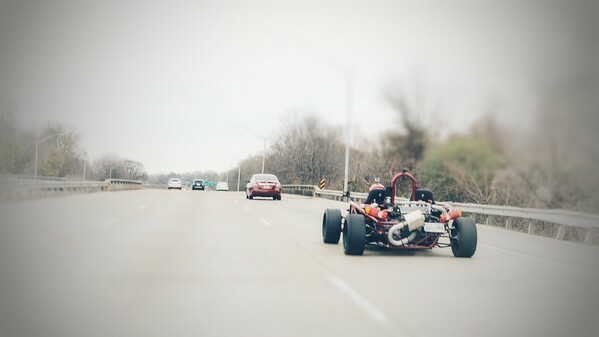 "Death is Buying Someone Else's Homemade Ariel Atom"
ME: 1. Every single weld was thoroughly inspected to make sure they have a good solid beads with good penetration and zero pores. 2. 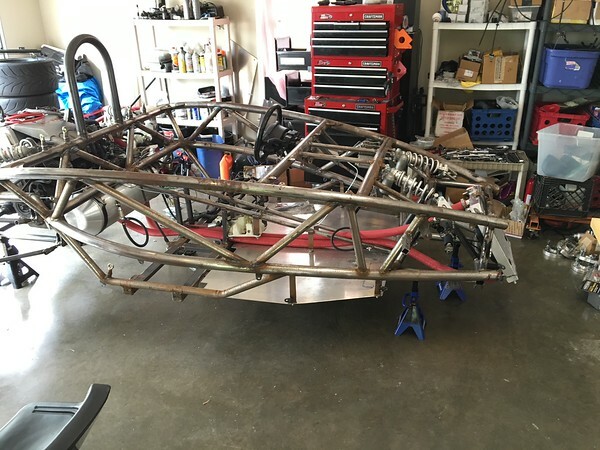 The roll bar is within SCCA regulations. 3. Extra thick metal was used around suspension and engine connecting points and firewalls. 4. Harness pick up points were raised to be above the shoulders. 4. Fitted with a fire extinguisher! 5. And other things I can't think of right now. MP: Can you talk a little about some of the early obstacles you had to overcome. ME: The hardest part was figuring all the stuff out, which took months of research alone. Getting the suspension geometry calculated was a bit of a challenge as well. Oh and if anyone ever thinks making long bends out of four 10' long steel tubes is easy, they're very, very wrong. MP: What was the hardest thing to learn along the way? ME: Halfway through I learned how much of an idiot I am for taking on such a complicated project! MP: Was there anything that proved to be easier than you thought it might be? ME: Cutting and melting steel together is surprisingly easy, it took some practice but then it becomes like riding a bike, it comes naturally and you never forget it. It’s actually quite soothing! MP: Have you had it out to any track events? ME: Took it out to a few autocross events, it was a lot of fun. I took it to some high-speed auto crosses where you actually drive on sections of a race track and actually got some speed action with it. MP: How many people have you scared with this car? ME: Just one, the rest were all giggles and laughs. MP: What’s it like to drive in traffic? ME: It doesn't have a radio, it’s boring in traffic. A few people would feel bad and start conversations with me at red lights, so thoughtful of them. MP: You said you’re selling the car, why? ME: I never intended on keeping it anyways, I wanted to get a piece of the Ariel Atom experience, now moving on to the next thing. MP: What will you move on to next? ME: Something turbo and/or V8 and/or possibly AWD, who knows. 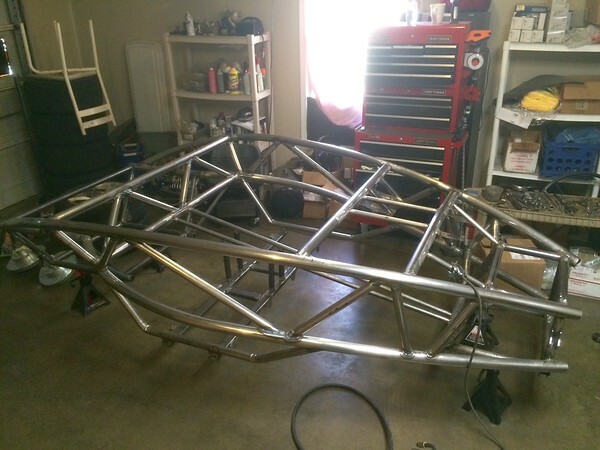 I know one thing is for sure, it will definitely be a tube chassis cage car. MP: Will we get to see the T-Rex drive/race your new creation? ME: Haha. Of course. It will have no roof or a removable one so the t-rex can fit. 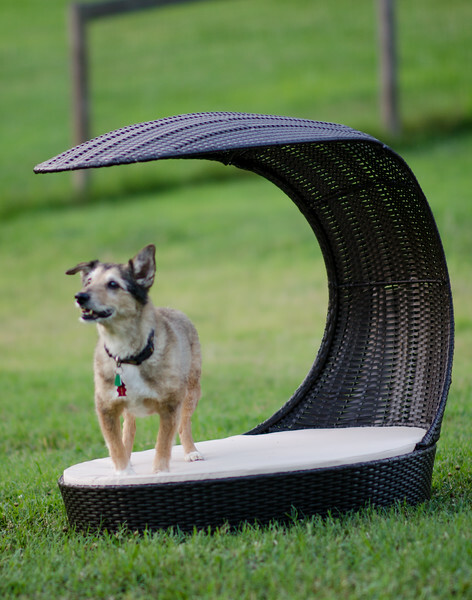 This is Charlie, a 15-year-old terrier mix who has lived a long and pampered life with his family. 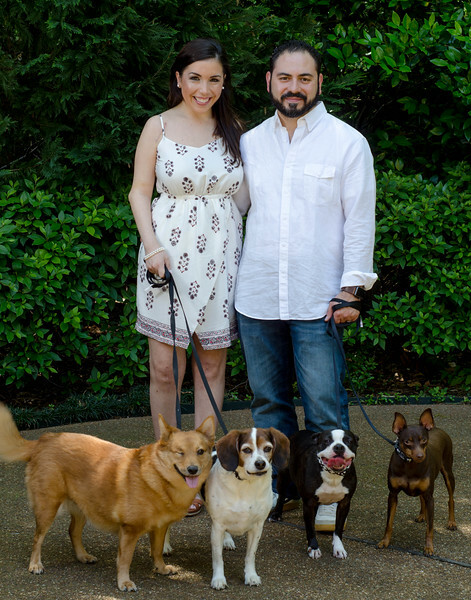 He has three great dog siblings and two very doting parents. Unfortunately for Charlie, he is in congestive heart failure and the amount of time he has left is indeterminate. Fortunately, he is happy, comfortable, and well cared for. 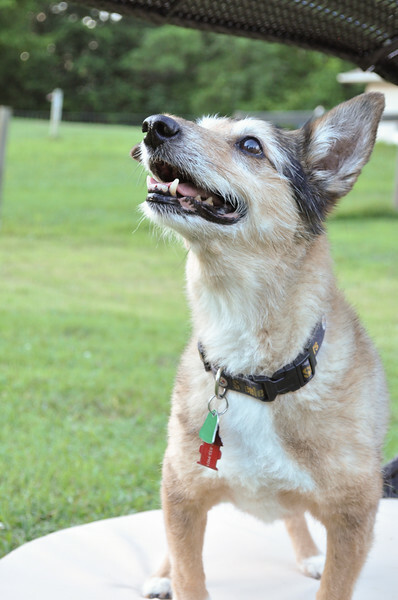 Charlie has been a family member for the last 15 years, and his parents want to remember his vibrant face, his love, and his enthusiasm. It doesn’t matter how well our pets live, how long we have them in our lives or how old they may be when they pass, the time is too short and insufficient for the love they provide. 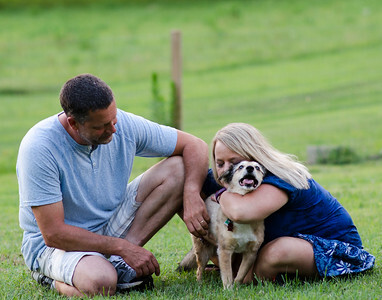 Often we find ourselves with a pet facing the Rainbow Bridge and realize that while they have been an integral part of our families, we also don’t have enough (or any!) family photos with them! This is where our Before the Bridge sessions come in, and we were happy to do one for Charlie and his family recently. 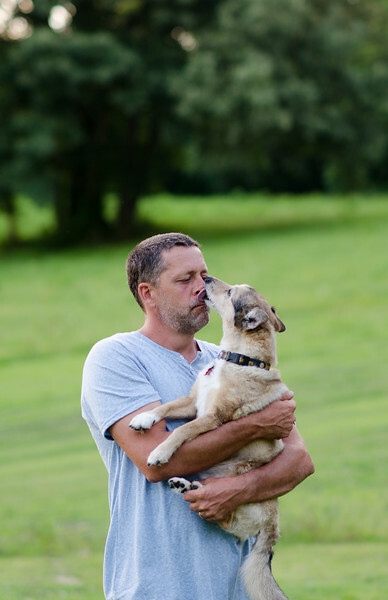 It’s sometimes hard to capture complex emotions in a photo, but we hope that we were able to capture even a little bit of the love between Charlie and his family. Welcome to Southern Yankee Exposures! 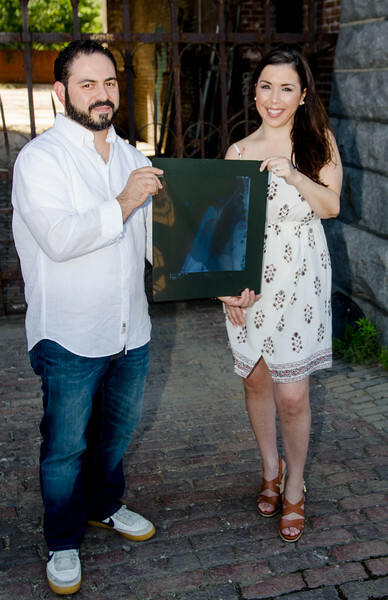 This is our first blog entry and it’s from an interesting and fun shoot we did back at the beginning of May (we had to keep the wraps on the photos until our customer’s formal announcement). But here they are! This particular couple has an awesome and curious sense of humor which they are not afraid to share, and it led to a fantastic session. The session took the form of a normal maternity photo shoot, but instead of a baby announcement, it was for something a bit more, um, unique... a shoulder replacement! We love it when clients come to us with fun and new photo ideas! 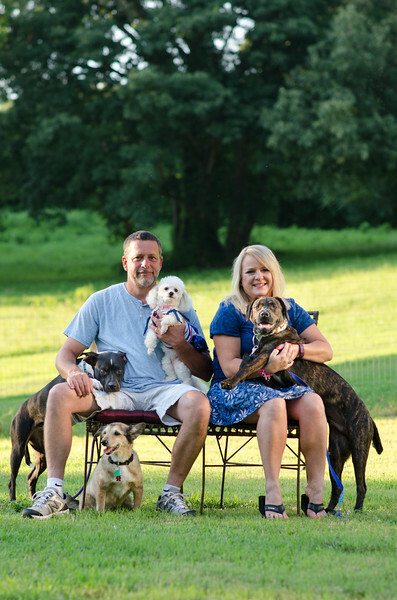 And of course we had to throw in a few family photos while we were at it, because one can never have enough of those!